Much of the energy infrastructure we use today is old, outdated, and in need of upgrade and repairs. In response, energy companies are increasingly implementing new technologies to help modernize the energy grid and build the infrastructure that will power the world for decades to come. Electric companies, for example are installing smart meters at customer locations to see more detailed usage information and make billing more accurate. They are incorporating real-time situational awareness to increase the reliability and resiliency of the energy infrastructure and respond more rapidly to outages or emergencies. And they are implementing connected devices and smart grid technologies to make energy distribution and usage more efficient. These devices will play a major role in future smart cities as they integrate with other systems. All of these technologies will improve the energy infrastructure, reduce inefficiencies, and optimize the delivery and conservation of power. But they also have another thing in common – they all depend on a wireless connection in order to work. As utility companies look to use energy more efficiently throughout the grid, increase the accuracy and granularity of their data, and identify fraud or theft more effectively, they are turning to connected devices. One of the best examples is smart meters. Utility companies have successfully deployed millions of smart meters at customer locations across a wide geographic area. These smart meters leverage two-way wireless communications to relay usage data accurately, implement energy awareness and demand response programs, and run other smart grid applications. Smart meters improve on previous technology because they remove the need for a technician to physically visit the meter to check the reading. This remote meter reading has become a crucial demand for power companies. Billing information for customers is more accurate because it is based on actual usage rather than estimates, monitoring is easier and faster, and the data that comes in from these meters can be analyzed to identify opportunities to reduce energy consumption and increase sustainability. All of this is done by communicating data over a private or unlicensed wireless network. Once energy infrastructure is dependant on a reliable wireless network it becomes vulnerable to disruptions caused by RF interference. This is one of the reasons why spectrum analysis has become a critical requirement to monitoring, managing, optimizing, and protecting the grid. RF interference can come from a variety of sources, and it can be difficult to determine what is causing the disruption without proper analysis capabilities. For example, insufficiently insulated power cables can lead to interference. You experience this when your car radio turns to static while sitting under a power line. Similarly, nearby transmitting devices can also cause interference, whether inadvertently or maliciously by someone looking to disrupt critical public infrastructure. Another requirement for utility companies is to ensure they are complying with government regulations. Companies who build their own private wireless networks must make sure they are transmitting within their allotted frequency range. Companies who choose to use unlicensed networks, typically the 900 MHz band, must also ensure they are complying with regulations when transmitting. And no matter what type of network is used, utility companies must be able to identify deficient coverage areas and have a clear view of their network performance. To meet these requirements, utility companies will need a combination of continuous in-place monitoring and advanced mobile spectrum analysis capabilities. Distributed, 24/7 monitoring devices can be connected to a central coordination unit to detect unknown signals across the entire network. RF engineers can then conduct mobile tests in specially equipped vehicles for coverage mapping and interference hunting applications in the field. Behind all smart grid technologies is a need for reliable wireless connectivity. 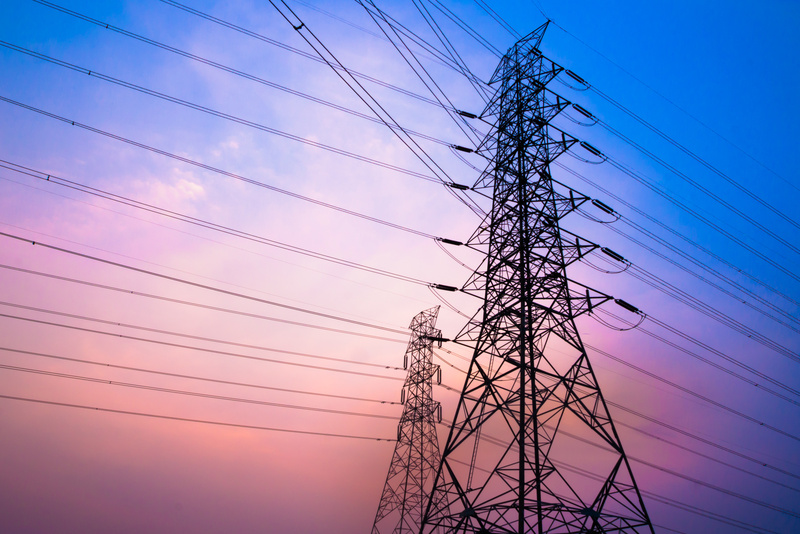 As utility companies continue to implement connected devices such as smart meters into the electric grid, they will need to be able to monitor the RF spectrum to ensure everything is working the way it is supposed to. Identifying sources of interference and remaining compliant with government regulations are two of the main requirements for RF engineers who are working to reduce inefficiencies in delivery, increase the resiliency of the grid, and identify opportunities for future improvements through accurate, real-time data.